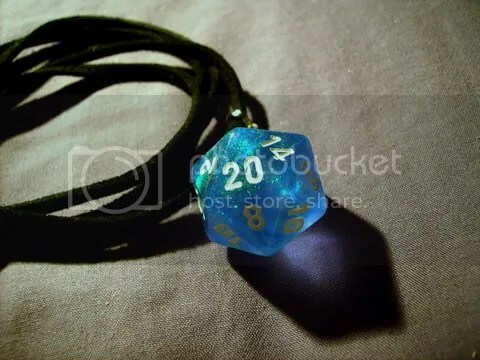 This pendant is from a collection I have up for sale and were made from a single standard-sized shimmering Sky Blue Borealis twenty-sided die with white numbers which stand out. Light reflects off the iridescent flecks within the dice, and beautiful colours not normally seen in dice or even glitter dice can be seen. Absolutely beautiful. Hi….im really interested in this pendant….how can i get one?? I’m from Italy….